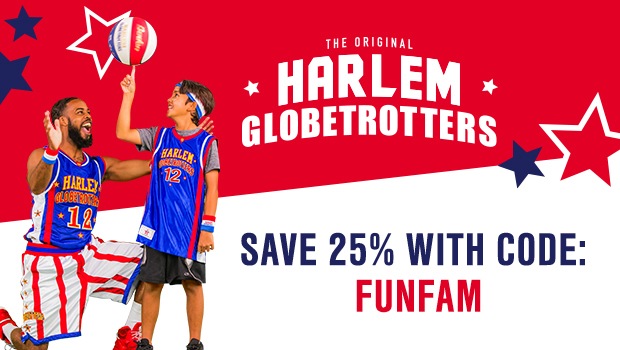 Harlem Globetrotters Fan Powered World Tour Review by Danielle Fox | Harlem Globetrotters - Coming to a Town Near You! 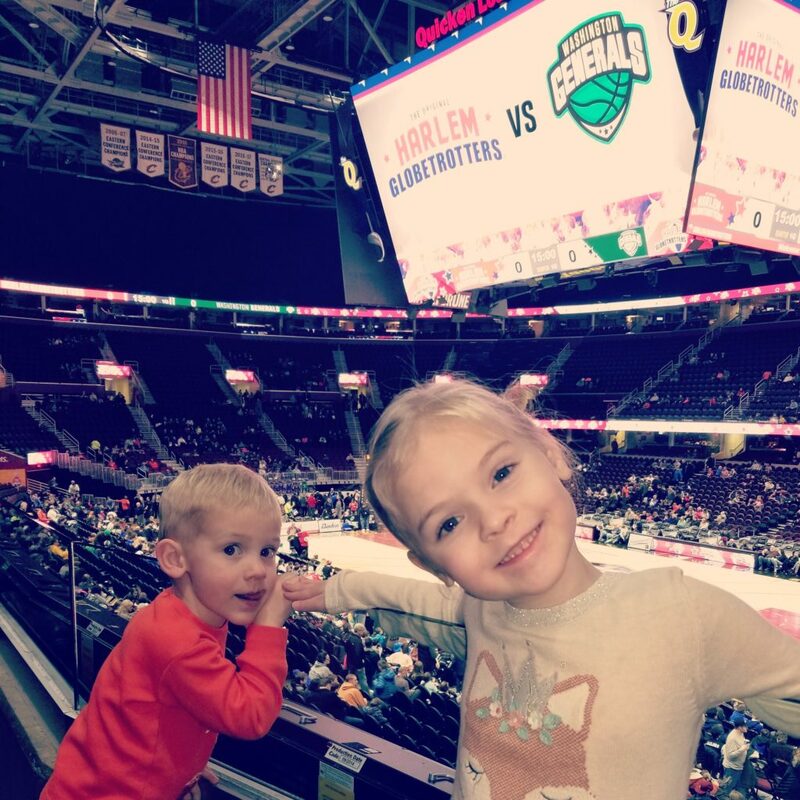 MamatheFox and her family went to see the Harlem Globetrotters when they came to Cleveland, Ohio this past December. It was a show my kids and I will never forget. The team features hilarious tricks, amazing skill shots, pranks and more. Each minute of this game is exciting and will keep the attention of small children alike. My 3.5 and 5 year old loved it, however my 5 year old was able to pay attention to it much better than her younger brother. He has a hard time paying attention up in the stands. I feel if I went to a show again I would buy closer seats so that he would be more engaged. The team, which has been around for many years (my husband went to a game as a child - so you know they have been around a while hahaha! ), and now are featuring women players! My daughter was thrilled to see a women on the court, doing all the cool tricks and shooting hoops with the men. The Harlem Globetrotters are now training a few women to join them on the court. Showing girls that they too can become amazing basketball players just like a man. During half time and in the beginning of the show during the warm-up period, they featured a local Ohio organizations for children. For the National Anthem, the choose an organization that works with children with disabilities, including the deaf. Each of the kids signed the National Anthem, which was moving and fun. For the pre-show they allowed some local children's basketball teams show of their dribbling skills and abilities. After the game, they open the court to the fans. If you would like to, you can walk down and wait in line for a chance to meet your favorite players, grab a selfie with them and even get an autograph. My children were younger then most of the kids in attendance (loads of elementary aged kids) so we headed home after the game. This show is perfect for children and adults alike. You will not be disappointed so be sure to pick up your tickets now! Be sure to grab your tickets before they sell out!